This article teaches how to install Kodi on Firestick, which is locked by default. You’ll learn how to install Kodi on an Amazon Fire TV Stick, Fire TV, or Fire TV Cube for free movies, TV shows, and even live sports on any smart TV using the easiest update possible in this simple guide. We’ll help you stream video online with the most anonymous, safe, and inexpensive Firestick updates possible. The Kodi media center software is considered the best in the world by many streaming video enthusiasts and experts alike. Find out why and how cord cutters ditch monthly cable bills with this quick Kodi on Firestick update. You’ll also find out how to watch full movies online free without downloading. Once you install Kodi on Firestick, you can watch free streaming movies online anytime. Note: This guide is updated for installation of the latest Kodi 18 Leia version. Instructions to download and install Kodi 17.6 Krypton are also included for those unready to update. We include instructions to download and install Kodi on many more streaming devices after the detailed Kodi Firestick install section. How To Watch Free Movies, TV Shows, & Live Sports? What is a Kodi Firestick? What Kind of Content Does Kodi Supply? How Can I Watch TV With Kodi? What is an Amazon Fire TV Stick? Must I Pay to Watch TV Channels? What is the Fire Stick Subscription Charge Fee? Can I Buy a Jailbroken Fire TV Stick? What's New in Kodi 18 Leia? We provide a more detailed walk-through of all the steps required when teaching how to install Kodi on Firestick or Fire TV devices farther down the page. If you know your way around the Android or FireOS system, you may only need this shortened 3-step guide to unlock your Firestick for free movie streaming. Enable Apps from Unknown Sources in Settings > Device > Developer Options. Launch Downloader app (available free in Amazon App Store) and open its browser tab. Go to https://mytm.pw/Kodi18APK for Kodi v18 Leia download and follow prompts to install. Note that you can use https://mytm.pw/Kodi176APK to install Kodi 17.6 Krypton if you prefer not to update to the latest version just yet. Krypton does still have wider addon support until more developers take advantage of all the new features of Kodi 18. It’s a good idea to connect with your IPVanish VPN app before using any third-party Kodi addon. For one thing, many of them use the BitTorrent protocol to stream and download free movies, TV shows, live sports broadcasts, and more. This exposes your identity, location, and activities even more readily than usual. Also, you’ll want to be aware of the laws in your area regarding the streaming of unlicensed media. Now that you have Kodi installed on Fire TV Stick and know how to safely watch free movies and TV online, you just need to set Kodi up to access all the free streaming sources available. There are great IPTV capabilities installed with the Kodi APK that you can begin learning about in our Kodi IPTV M3U Simple Client article. You can also simply install some of the best Kodi addons working today then connect with your IPVanish VPN app to enjoy free movies, TV, and live sports streams privately. To download and install Kodi on a Fire Stick with this simple loading method, you only need to install the Downloader app developed by AFTV , which is freely available in the Amazon App Store. By using this great browser and installer app, Kodi installs quickly and painlessly. No more dealing with the hassle of installing or sideloading the Kodi APK from a PC computer or phone with FireDL, Apps2Fire, or AppStarter. These are great apps in their own right, but the easiest and most direct way to install Kodi on Firestick is with Downloader App. ES File Explorer works great to load the Kodi APK also. While I love ES File Explorer as a file exploration utility, getting the Kodi APK downloaded and installed is simplest with the Downloader App by AFTV. We download and install Kodi on Firestick by installing the free Downloader App from the Amazon App Store first. You’ll learn how to download and install Kodi 18 Leia or 17.6 Krypton by using Downloader App, which is the easiest, fastest way possible. The XBMC/Kodi Foundation even agrees this is the best way to load Kodi on Amazon Firestick, Fire TV Cube, and Fire TV boxes. The first step is to enable unknown sources on your Fire TV, Fire TV Cube, or Firestick. This allows apps that aren’t available in the Amazon App Store to be installed on the Firestick, Fire TV, or Fire TV Cube. Of course, you’ll probably never find Kodi in the Amazon App Store. Amazon does not like that kind of competition with their Amazon Prime service. The steps required to allow the install of apps from unknown sources are as follows. Enter the Settings tab in the Firestick top menu. Click Device, though it may read My Fire TV on the new Fire TV Cube or even System on older Firesticks. Then, click Apps from Unknown Sources to tell Amazon you wish to install more than what they offer. Congratulations! You just “jailbroke” an Amazon Firestick with the “ultimate” hack. Not much to it, was there? Now, it’s time to take advantage of all that hard work and get Kodi placed on there for access to the good stuff. I don’t blame you if you want to go grab a cool one out of the fridge before we go any further with this arduous task. In fact, grab frosty mugs of honeyed kefir for everyone! Note: Kodi 18 Leia has now been fully released. Be warned that if you choose installing Kodi 18 at this time, there may still be a few glitches. Also, many third-party add-ons are not yet updated to work with Kodi v18. 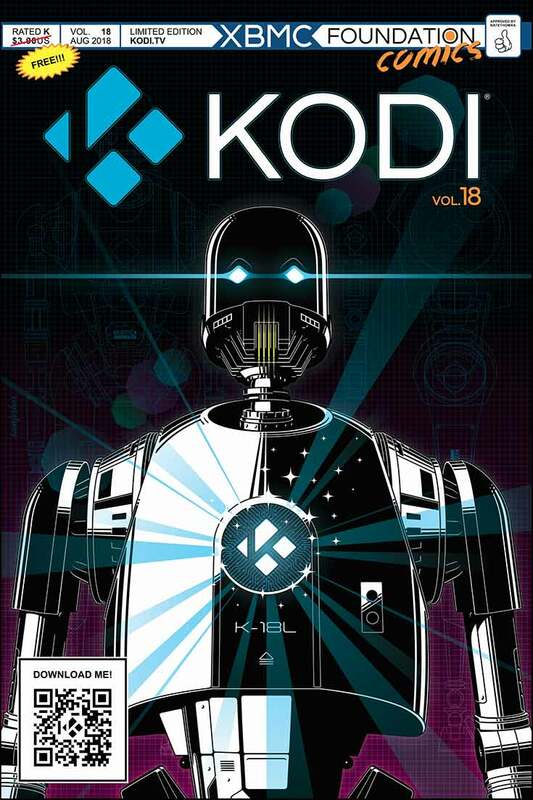 We have great download and installation of Kodi 18 Leia info for nearly every Kodi installation compatible device it runs on later in the article. Be sure to check it out if installing Kodi 18 on devices other than a Firestick. The Kodi Downloader link below is updated to the latest. Click on Downloader App and install it on your Amazon Fire TV Stick. Launch the Downloader App by clicking Open and input the URL for the Kodi version you wish to install. You can download Kodi 17.6 Krypton by typing in https://mytm.pw/Kodi176APK or the latest Kodi v18 Leia by typing https://mytm.pw/Kodi18APK in. I suggest trying out Kodi 18 Leia, then falling back to Kodi 17.6 Krypton if you find your favorite Kodi addon not yet working in Leia. There are currently far more great working addons and full Kodi builds available for Krypton, but Kodi 18 Leia isn’t far behind. Once Kodi finishes downloading, scroll down and click Install to get Kodi installed on the FireStick. After the installation is complete, click Open to launch Kodi. I know you want to play with your brand new Kodi install on Firestick, but quit Kodi at this point to do some quick maintenance. You should be back in the Downloader App, so click on the Delete button to get rid of the Kodi installer APK. No need to have that taking up precious storage space. Then, confirm your intention to delete the Kodi APK installer file by clicking another Delete button. Open your IPVanish VPN app and get connected to have some fun. That’s all there is to it! Kodi will now be in the programs folder of your Amazon Fire Stick, Cube, or Amazon Fire TV. After you install Kodi on Firesticks, you can place the Kodi app icon on your Firestick home screen. Follow the simple steps below to do so. While on the Firestick, Fire TV, or Fire TV Cube home screen, press and hold the Home button on your Firestick remote until the shortcuts screen comes up. Click on Apps. Scroll down to your newly installed Kodi app, select it, then click the Menu button on your Firestick remote. Choose to either Move Kodi manually or simply Move to front to put Kodi right in the pole position. Kodi doesn’t do much unless you install a build or at least some addons. The best working Kodi addons find and fetch all the great streaming entertainment available for free online. Our roundup of the best working Kodi builds includes collections of addons along with entire cosmetic Kodi makeovers and more. You’ll find plenty of great builds for both Kodi 17.6 and Kodi 18 in there. If you’re simply wanting to dive in head first and experience all the great, free movies, TV shows, and even live sports broadcasts, that’s understandable. Check out the No Limits Magic Build for everything you ever though Kodi could be. Another simple way to start is by installing one of the recent Jen template Kodi mega addons. These addons are control centers for multiple addons and provide access to streaming content from many more sources than any single Kodi addon. Many of the best Kodi addons lately have been of this type, but they do take a lot of room on your Kodi jailbroken Firestick update. If you have room and enjoy the plain vanilla Kodi interface, try one of WOW or Death Star which includes WOW. If you have too many apps and other files on your jailbroken Firestick update already, or just want to keep it light for now, you may just want to install a single addon to get started. In that case, you’re going to want to install Exodus on your Kodi Firestick. Just remember to install and run the IPVanish VPN app first. Please note the XBMC Foundation has been attempting to distance itself from the “unofficial” third-party Kodi scene. There have been a few attempts to include code into Kodi over the past year or two that gathers and records usage info about its users. The protection of an encrypted VPN tunnel is always recommended when streaming with Kodi, but has become especially necessary with the latest Kodi releases which includes both 17.6 Krypton and 18 Leia. In case you came here and are still confused because you heard about the wonders of Kodi on Firestick without knowing what it is, we’ll begin by providing a little background info on what Kodi is and also some of what it does. Then, we’ll walk you through the basics of the perfect hardware device pairing for Kodi 17.6 or 18, the Amazon Firestick. If you don’t yet have an Amazon Fire TV Stick, check out the latest newly updated Firestick 4K . It’s the best investment available if you want to get rid of an expensive cable TV subscription. You can then watch free movies, TV shows, and even live sports broadcasts from anywhere in the world. Kodi 18 Leia runs super smooth on this 4K streaming stick with its updated WiFi capabilities. Kodi is a community-driven open source software originally developed as a home theater entertainment center app for the Xbox. This is where the XBMC Foundation got its name. The XBMC Foundation oversees and maintains the official Kodi software development along with its collection of official addons. The name of this media center software changed to Kodi, and the app is now made to run on most computers, tablets, and phones quite nicely. Kodi 17.6 and 18 are free to install and run on any of your internet devices operating with Mac OSX, Windows, Linux, Android, iOS, FireOS, and more. You can even install Kodi on Raspbian or LibreELEC (a fork of OpenELEC) loaded Raspberry Pi devices for the ultimate in minimal, yet full-featured streaming media home entertainment centers. Having Kodi installed makes watching and recording live TV worldwide a breeze. Keeping all of your own media organized is as simple as can be, and watching all the streaming movies, TV shows, and music you want online is even easier. Kodi can also be easily controlled with nearly every remote control out there that can manipulate what’s on your Kodi device. Touch screens are an especially nice experience with Kodi. Some cosmetic Kodi skins such as Estouchy are developed just for them. The default Kodi user interface (named Estuary) is beautifully straightforward with no head scratching confusion involved. You can even customize the look and feel of Kodi to suit your own personal tastes and moods with skins freely available from the Kodi community or design your own. We have an article providing more detail about what Kodi is if you’d like to learn more before installing it. Head over to our “What is Kodi?” explanatory article to learn more. Be sure to come back and get the latest Kodi version 18 (or Kodi Krypton 17.6 for wider addon support at this time) installed on your Firestick. Kodi supplies no content directly. It simply allows the organization, sorting, searching, manipulation, and viewing of content that is already available to you. This includes locally stored media files that you supply for Kodi to act as librarian and organizational tool for. It also includes any media file that can be found by Kodi addons or IPTV playlists on the open web. Most of Kodi’s third-party add-ons are masters at finding and presenting tons of movies, TV shows, and even live sports online and then presenting it. Many of these addons even give you the option to stream or download your choice of titles. Of course, with any Amazon Firestick update, you can access Netflix, Hulu, Amazon Prime, Showtime, HBO, and far more with their own dedicated apps. If you want to access YouTube on Fire TV Stick, things get sticky due to the ongoing feud between Google and Amazon. If you install Kodi on Firestick along with third-party addons, the available stream sources get outrageously diverse. Most Kodi third-party add-ons scrape (search) the web for available streaming media and then present a list of those sources to you. Many of the best of these addons organize the found titles quite neatly for you and let you search them by title, production year, actor and actress names, director, and more. Please be aware that while Kodi 18 is legal, much of the streaming content found by Kodi third-party addons may be from pirated sources. Many people share unlicensed copies and bootlegs of movies free online that have just entered the theaters. You’ll also likely find that many freely record and share commercial network TV shows that have just aired the previous night. Accessing these unlicensed streams can be illegal depending on your location. Be very careful regarding the entertainment selections you make with Kodi third-party addons. Also be aware that the XBMC Foundation does not provide support for any third-party Kodi addons. Asking for help in the official XBMC Kodi support forums will be ignored at best. It is more likely they will berate you for associating with pirates or taking part in piracy yourself. Kodi is a great application for accessing streaming content. The developers do not intend that it be used to access illegal streaming media. Another excellent source of free movies and TV shows and even paid services that provide guarantees of legally licensed streaming movies and TV series on Kodi is the Kodi IPTV Simple Client. This is an official addon installed by default with every Kodi installation; it only needs activation and setup. To access even more free IPTV channels on Kodi, you can install the M3U Playlist Loader addon then add multiple free or commercially available M3U playlists. These are both great alternatives to other streaming Kodi addons. They can easily provide access to the same great movie, TV, and even live sports broadcast content. The trick to getting these to work is access to a great IPTV M3U playlist, which tells these addons where to access all the streaming channels online. This is really where the magic of Kodi resides. When installed, Kodi includes a massive collection of great add-ons already. These even include a great PVR (personal video recorder) to record shows and play them back. Called the PVR IPTV SImple Client, it has become quite popular for people to use when watching streaming sources from around the world. With a decent M3U playlist, you can access nearly any streaming media you can imagine, which includes live streaming TV, sports events, and movies from all around the world. That open access can include the aforementioned pirate streams, so be careful. There is also a Playlist Loader addons that can be downloaded and installed to Kodi in order to access multiple M3U playlists at once. This can give you access to literally tens of thousands of channels on your Firestick all at once to choose from. If you happen to know the Python programming language, then you can develop your own extensions to Kodi quite easily. Even if you don’t, hiring someone online to do so can be exceptionally affordable. You want Kodi to start the popcorn for you when you kick on the first movie? Perhaps you want the lights in the room to dim when the movie starts. Addons can do this when paired with the proper hardware. You’re only limited by your own imagination where the possibilities with Kodi add-ons are concerned. When you install Kodi on Firestick, it also includes add-ons pre-installed for major web streaming services such as YouTube, Crackle, SoundCloud, PS Vue, Pluto.TV, ScreenRant, and many more. Kodi is actually a great way to gain access to YouTube on Fire TV and Firestick devices while Google and Amazon are squabbling. There are nearly 1000 add-ons in this default Kodi installation addon collection to choose from at this time. Even with the massive selection of add-ons included in the official Kodi repository, they come nowhere near what is available from the third-party Kodi add-ons development community. The Kodi third-party development community is home to some of the most popular bits of streaming media software the world has ever seen. Chances are that you’re here because you’ve heard of the wonders to behold in this ever-expanding and ever-changing collection. Much of what we’ve written about here at My True Media covers some of these Kodi third-party add-ons. You may have even heard of Exodus, the most popular Kodi add-on of all time. The Exodus Kodi addon recently received a major update in order to access tons of great content once more. When you install Kodi on Fire Stick, it provides access to a seemingly impossible and massive amount of streaming media once downloaded and installed on an Amazon Fire Stick. Please remember that you’re jailbreaking the Fire Stick. This is entirely legal, but very risky if done without care. Much the same as jailbreaking an iPhone or Samsung Galaxy, this process carries with it (and opens you up to) security issues and risks. Weighing the pros and cons between wonderful access to nearly any streaming media you could ever want and dangers inherent in allowing third-parties access to your system may be difficult. We’ll explain some things that can lessen the security risks significantly below, such as installing the IPVanish VPN app as your first Firestick update before you download Kodi 18. A securely encrypted VPN adds a serious layer of protection while also helping you avoid stream buffering due to slow internet connections. With a basic understanding of Kodi and its add-ons, let’s dive into a quick run-down of the Firestick. Amazon’s Fire TV Stick is a bit like a Roku or Chromecast in that it plugs into an available HDMI port on the back of a smart TV. It is far more accessible than either for loading Kodi, though. This little thumb-drive sized plug-in device from Amazon doesn’t require any specific smart TV manufacturer brand. It must be a modern smart TV with an available HDMI port, though. The Fire Stick itself, with the help of apps available from the Amazon App Store and elsewhere, provides access to an amazing amount of streaming media. This includes movies, TV shows, music, live sports, web services, and even broadcast network channels. While many of these streaming services and channels don’t cost money to use, most are not free. With an Amazon Prime subscription , you’ll have access to many streaming channels. Amazon has some great original programming that you will have full access to with a subscription to their Prime service. If you have a cable subscription, any channels you can legally access with that subscription will likely make the corresponding apps from the Amazon App Store available to you for free. If channels such as Starz, HBO, and Showtime aren’t included in your cable TV subscription, then you must pay to access the apps. Most of them provide monthly subscription plans. There are also other ways to stream all these channels with your Firestick, smart TV, and a decent internet connection if you don’t have an inclusive cable subscription. Once you purchase a new Amazon Firestick, there is no subscription fee to use it. You will be charged nothing beyond the one-time Fire TV Stick purchase price. An Amazon Fire TV Stick is simply a hardware item much like your phone or computer that you buy and then own. You can add apps that charge subscriptions if you like. You’re reading a Kodi Firestick how to, so I think you don’t like. Many of the apps that you find available for streaming in the Amazon App Store have subscriptions available. Some of these apps also have commercial ads to monetize their efforts. After you load Kodi on Fire TV or Firestick, there is no need to download and install anything else but Kodi addons. Spending money beyond the purchase price of the Fire TV Stick itself for tons of streaming entertainment value isn’t necessary. The best place to buy a Firestick will likely always be Amazon itself. I’ve heard that you can also occasionally find Firesticks for sale at Best Buy, Walmart, or even Target. Sometimes, you can find pre-owned Fire Sticks for even less, but they are really cheap for the power and entertainment they deliver even new. I must warn you at this point against buying a pre-loaded “jailbroken” Firestick. Many of these come with malware, spyware, and even worse installed along with Kodi, Mobdro, ShowBox, or whatever the hacker installed on it. I’ve seen them with cryptocurrency mining software that wears out the device really fast by overheating its processor. It’s also common to find keyloggers installed that record your passwords and credit card numbers along with everything else you input or store on your Fire Stick. These hacked Firesticks then send packets of your information to the hacker that installed it. Even if you can find a “reputable” jailbroken Fire Stick dealer, many of the Kodi addons in these jailbroken Fire Sticks are outdated and will likely need immediate update or replacement. It’s so easy to install Kodi along with a build or handful of addons that getting someone else to do it for you just seems silly. It takes far longer to find an updated jailbroken Firestick dealer than it does to install Kodi using the method outlined below. What’s New in Kodi 18 Leia? Getting Kodi’s various modules and other parts working more nicely together has been the project’s main aim. Emphasis has been heavily placed on developing for stability and usability. The GUI has also had an overhaul to make the user experience much better. This includes changes to the Estuary skin that comes installed by default. The changelog for Kodi Leia is a massive read full of wonderful new features. You can access it at the official Kodi v18 Leia changelog wiki page. I’ll summarize some of the most exiting changes from Kodi 17.6 Krypton to Kodi 18.0 Leia below. The latest 18.0 “Leia” version of Kodi will easily download and install on any Kodi v17.6 Krypton supported device. Kodi 18 Leia was officially released in January 2019 and made available to download and install on all Kodi supported devices. This includes the Windows PC, Mac, Android, Amazon Fire TV Stick, FireStick 4K, Fire TV Cube, iOS, BSD, and many flavors of Linux. Don’t forget to fire up and connect with your IPVanish VPN app before streaming all the free movies, TV shows, and sports broadcasts found by third-party Kodi addons. With the official release version of Kodi 18 Leia now available, you can grab a copy of Kodi in the Windows App Store. You can also use the following links to download and install from the official Kodi TV mirror site download repositories. For most modern Windows computers, you’ll want to grab the 64-bit Kodi 18 exe file to install the latest Kodi on Windows PC. For those still using 32-bit architecture computers running Windows, or those running 32-bit Windows on newer machines, use the 32-Bit Kodi 18 exe file to install the Kodi media center software. Whichever version of Kodi 18 you choose for your Windows PC, simply install as you would any other app. Double click the installer file and follow the on-screen prompts. Download the Kodi 18 DMG installer file to install Kodi 18 Leia app natively on Mac OS X. Simply open the DMG file and move the Kodi app to your Applications folder on the Mac to complete installation. You’ll find that Mac OS X provides H.264 and MPEG2 hardware video decoding. Kodi 18 Leia requires Mac OS X 10.8 or later running on an Intel Macintosh. Kodi 18 Leia for iOS must also be side-loaded onto an iPhone, iPad, iPod Touch, iPad Mini, or iPad Air. A jailbroken iOS device version 6.0 or newer is required, though it’s highly recommended to use iOS 8.0 or higher. To download the newly released Kodi 18 for iOS devices, use the following links. If you’re installing Kodi 18 Leia on an iPhone 5 or older, or on an original iPad (up to October 2012 release), you’ll want the 32bit ARM deb file Kodi iOS installer for a successful install. For any iOS device newer than this, download the Arm64 version of the Kodi 18 iOS installer deb file. The official release of Kodi 18 “Leia” is now available in the Google Play Store for download and installation. To side-load the official Android Kodi APK file, download it using Downloader app, ES File Explorer, or any other download app or browser onto your Android device from the following official Kodi TV links. Installing Kodi 18 on Android devices is very straight-forward. If you have any trouble or questions, feel free to ask in the comments below. We’d love to help in any way we can. Xbox One now officially lets you install Kodi Leia v18 directly from the Microsoft App Store. Here are the easy steps to install v18 Leia onto an Xbox One. On the XBox One home screen, click the Search option and type Kodi. Click on the Kodi icon. Next, simply click the Get button. Once the Kodi 18 installation is complete, grab some great working Kodi 18 addons or a Kodi 18 build to finish up. Then, you can connect through your IPVanish VPN app to anonymously watch some free movies, TV shows, and even live sports right on your XBox One! For every device supported by Kodi and the XBMC Foundation, the download file for install can be found at their official Kodi.tv downloads page. Head over to the Kodi TV downloads page. Choose the download based upon the operating system you wish to install Kodi 18 on. Then, simply download Kodi 18 Leia by clicking on the link for the appropriate Kodi app installation file for your OS and device. If you have trouble installing Kodi 18 Leia on your device, give us a shout in the comments below. You can also feel free to ask in the official My True Media subreddit or on our Facebook page. I am very happy to have the movies on Fire Stick TV from this jailbreak. It work very good! Thank you! Thanks for easy to install kodi on fire stick! I will get the sports events now. I thought Kodi would be harder to install with the installation tutorials seeming necessary. This was the easiest jailbreaking once you know the few things to do to get kodi. Thank you for the plain simple kodi install and addons. I have Kodi on my Firestick now along with Show Box and Popcorn Time. There seems to be much room for Kodi addons still. The Firestick holds quite a bit more than it sounded like! I hope it doesn’t cache too much streaming movie and freeze or something… just looking ahead. Saw a couple jailbreak firestick kodi videos with too much yak yak and want to thank you for simple follow install kodi guide. This was way easier than the Youtube video I tried a bit ago! Or maybe it was the beer I downed after giving up on the video that made installing Kodi like this easier. My Fire Stick is humming along nicely now. Thanks. I think I got this right, but when I went to put a repo in, I couldn’t get the address to take. I am wondering if it was the Mr Blamo repository you were trying to install. It makes sense that it would be, as it’s one of the most popular right now. If that’s the case, then I’m saddened to inform you that Mr Blamo called it quits on Kodi development a few hours ago and took the Blamo repo down along with all his great addons. I suggest looking into a few of the newer great Kodi addons we’ve featured lately. Try any or all of Tsunami OG, Corona, Exodus (new update! ), or Yoda for plenty of great Kodi streaming entertainment right now. Thank you! I wanted the free movies and now installed Kodi and my Firestick has the free movies mo problem. Good instructable! I got Kodi installed on my Fire TV and got Neptune Rising and Placenta installed. I’m getting no video streams showing up, not even an error message. If you have a VPN, try turning that on and check again. Also, try connecting with the VPN from a spot outside your own country to see if that helps. It sounds like your ISP is blocking the addons from finding streaming sources. I just checked and both Neptune Rising and Placenta are working great here. So if I jailbreak my Fire Stick and install Kodi, I can watch any movie ever made? Thank you. Very easy to follow for install Kodi on Fire TV Stick. Thanks. Installing Kodi on my Fire TV Stick was very easy this way except for using the remote control in the browser/downloader app to download the apk. A bluetooth keyboard and mouse would make downloading Kodi much easier. I kept going past where I needed to click and ‘typing’ wasn’t fun. Very easy steps how to install. I like kodi on my fire tv stick so for how to watch the free movies online. Thank you. You’re welcome, Teresa! There are plenty more great apps you can learn how to install on your Fire TV Stick to stream free movies online. All of them are pretty much just as easy and many are even easier to use and don’t require updating so often if you like to simply enjoy a good movie online once in a while. Learn all about how to install the best apps for streaming movies on Fire TV Stick in our Best Firestick Apps article.